I didn’t realize how much I loved it until recently. When I was little I was always a yellow/ funfetti cake kinda girl. I was also one of those kids who always chose vanilla when given the choice between vanilla and chocolate. Vanilla everything. Needless to say, it took me growing up to broaden my horizons and realize that I actually like other flavors. Thank goodness for that! I had some leftover lemon cake mix (because I made cupcakes and halved the cake mix to make 12 instead of 24) and I knew I wanted to make something different with the rest. 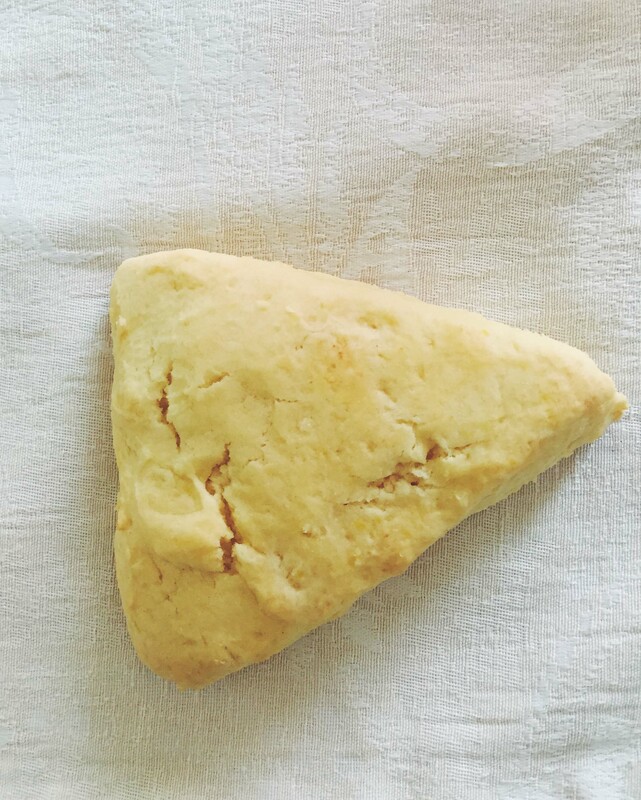 Enter: SCONES! These are a snap to make. 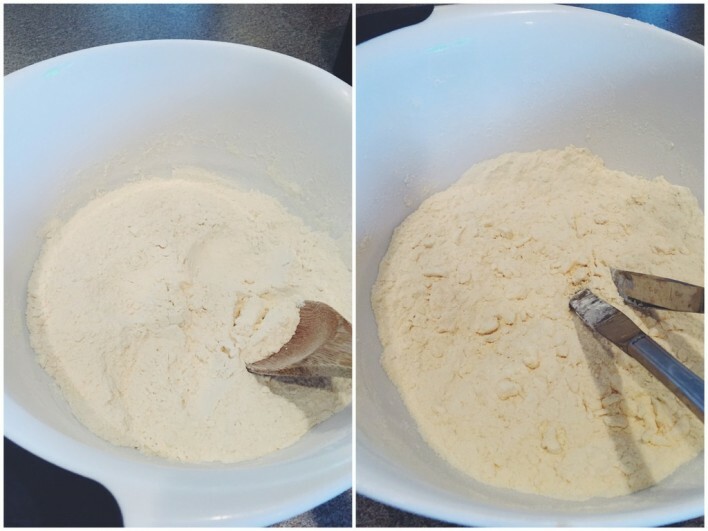 First assemble your ingredients: 1 1/4 cup of lemon cake mix (I used about half a box, which came out to a little more than this), 1 1/4 cup of flour (plus a little more for dusting), 8 tablespoons cold butter, and 3/4 cup of milk (a little more if you use more cake mix like I did). Start by preheating your oven to 400 degrees. Line a baking sheet with parchment paper or a silicon mat. Don’t have either? 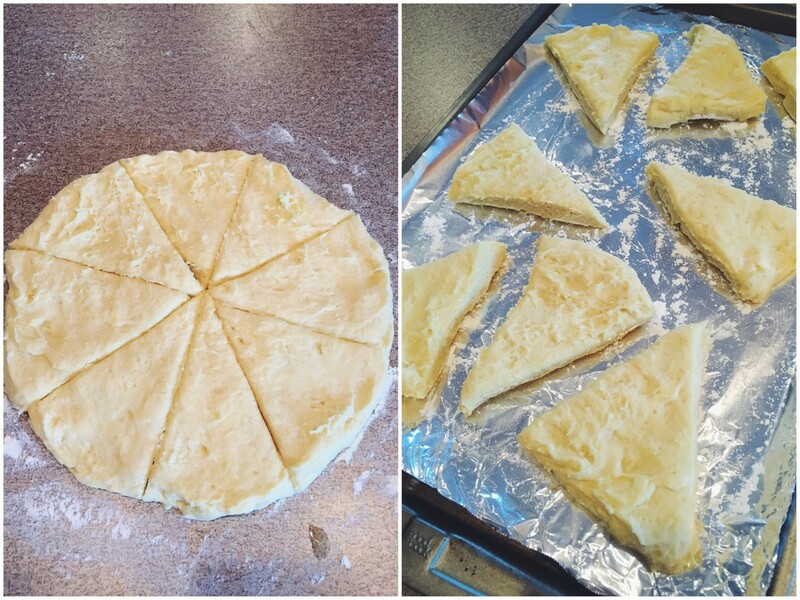 Just lay out some foil as flat as you can and sprinkle flour on it. (This is what I do and it’s worked for me every time.) Combine the flour and the cake mix. 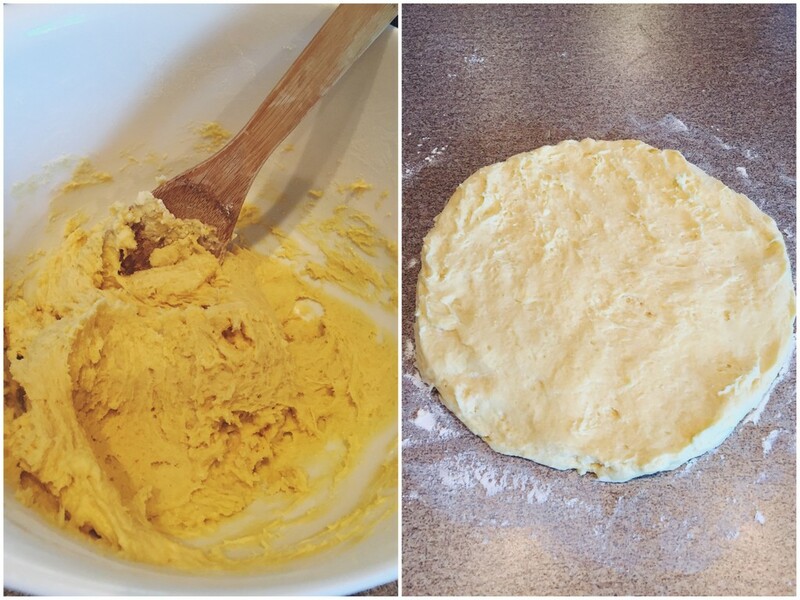 Cut in the cold butter using a pastry cutter or two butter knives until the mixture is crumbly. Create a well in the center and pour in the milk. Gently combine without over mixing. You can always add more milk if you feel it’s not coming together like it should. 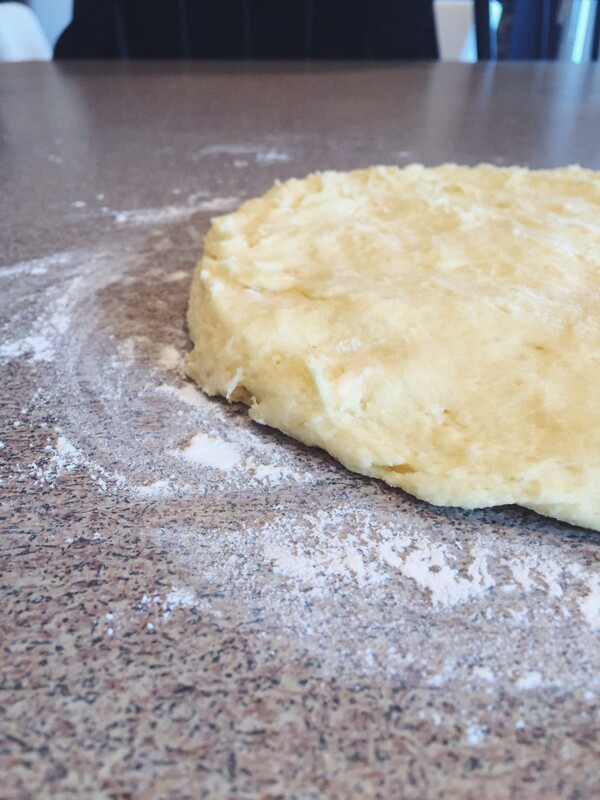 On a floured surface flatten out the dough into a circle that’s about 8 inches across. 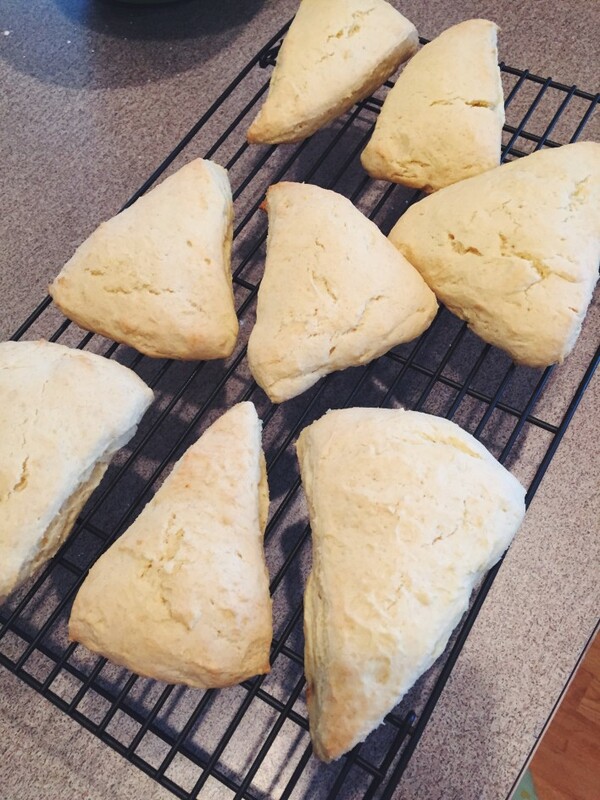 Pull them out and let the scones cool. At this point, you can make a glaze or frosting. I ate mine as is and they were delicious! These are subtly sweet, super easy, and wonderfully springy!